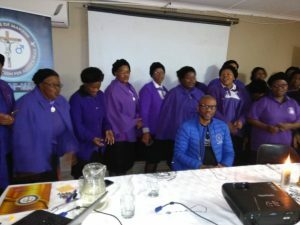 The International Day of the Sick is celebrated on the 11th of February annually, this year the day fell on a Sunday and it was celebrated at St Peter and Paul Parish at Kwaluseni, Matsapha Swaziland. 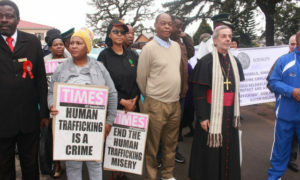 The Catholic Commission for Justice and Peace in collaboration with St Peter and Paul organised the wonderful event which was honoured by the Honorable Minister of Health Senator Sibongile Ndlela-Simelane, WHO Representative Dr. Tigest, the local member of parliament honorable Mr. Mkhosi Dlamini, senior Government officials amongst others. 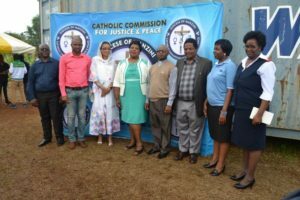 The Catholic Commission for Justice and Peace (CCJP) is a three year programme implemented by the Catholic Diocese of Manzini (Swaziland). The programme is one of many projects implemented by Caritas Swaziland.